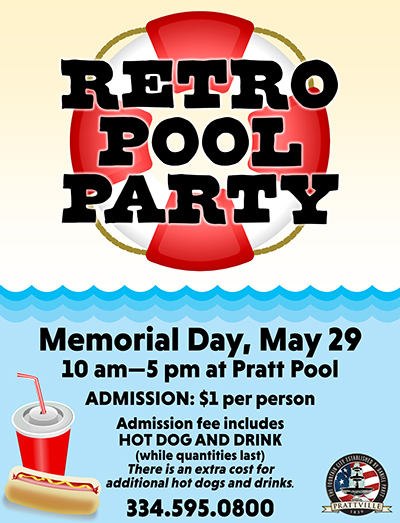 The City of Prattville will hold its 6th annual “Retro Pool Day” on Memorial Day, Monday, May 29th at Pratt Pool. During this family, fun event, admission to the pool will be $1 and includes a hotdog and drink. Additional hot dogs and drinks will also be available for purchase. Spend your Memorial Day swimming in one of the only Olympic size pools in the state!